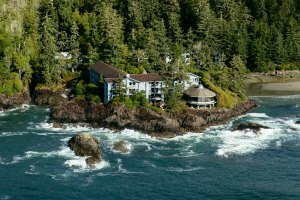 Resorts and Hotels for Tofino and Ucluelet, B.C. 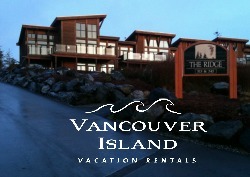 Tofino’s resorts are unrivalled for their scenery and location. Intimately tucked away into the coastal rainforest with stunning views of the Pacific Ocean and immediate access to Tofino’s breathtaking beaches, you’ll forget you’re in the middle of a summer tourist hotspot. In fact, the secluded sense of serenity at any of the resorts will have you forgetting anyone and anything else in the world exists. Any of Tofino’s resorts is the perfect place to settle into the west coast lifestyle and treat yourself to some well earned rest and relaxation. Discover Tofino through the only resort on Chesterman Beach. The Wickaninnish Inn offers magnificent views of the open ocean set against a backdrop of old-growth forest. A dedicated Clef’s d’Or Concierge custom creates readily available Tofino packages such as: wildlife viewing, fishing, ocean sports, and arts and cultural experiences. Uncompromising service and a range of in-house amenities, such as Ancient Cedars Spa and The Pointe Restaurant, make for memories reaching far beyond the tangible. 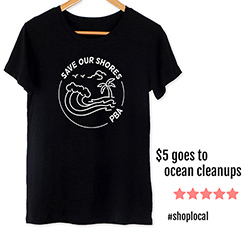 Click here to visit the website. The Best Western Tin Wis Resort features 85 non-smoking guest rooms all with either balcony’s or patio’s facing Mackenzie Beach — breath taking views of the majestic Pacific Ocean, in any season. Join us for dinner in Calm Waters Dining Room or relax on the water with a Stand Up Paddle Board rental. Crystal Cove offers modern log cabins, with selections from beachfront cabins with private hot tubs, to secluded cabins set in the rainforest, all set amid the beauty that is Clayoquot Sound. Our family oriented, pet-friendly resort is located on Mackenzie Beach, 5 minutes from Tofino and 15 minutes from the Pacific Rim National Park and Long Beach. For those who prefer to rough it in style, we also offer RV sites only a short walk from the beach. Don’t have your own RV? Our glamping experience offers the feel of camping but with all the comforts of a cabin. Middle beach lodge is on a nice beach close to all that Tofino has to offer. Paddler’s Inn bright and comfortable B&B in the heart of Tofino’s waterfront village. Guest rooms are clean, simple and priced between $69- $89/night. Just steps away from shops, restaurants and oceanfront activities. Light, rustic continental breakfast included with every stay. Spectacular ocean views from these reasonably priced shared & private rooms. Fully equipped kitchen, dining room & living room with fireplace, games room with free pool table, wet sauna, patio with gas BBQ, & more.